Tillandsia prodigiosa is a fantastic species found in forests covering the mountains in Mexico. Like many of the other soft, green leaved species that grow at higher elevations, Tillandsia prodigiosa is monocarpic so once the beautiful show from the flowers are gone the species relies completely on seed production to keep the population strong. 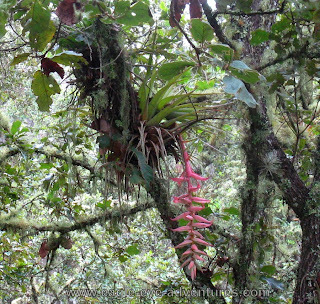 Most other bromeliads (and most other Tillandsia species) produce vegetative offsets that will in turn bloom. 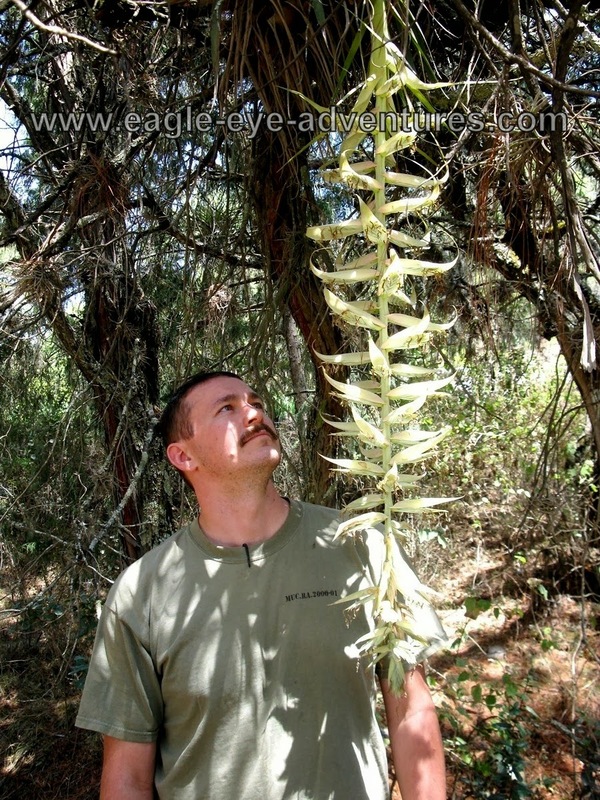 The inflorescence can vary in total length; sometimes being fairly modest and sometimes extending over four feet long! When the inflorescence is first emerging the color is no where near as strong as in the full splendor. On the left you can see the closest spike still developing and it has a fairly subtle pink blush at this point. 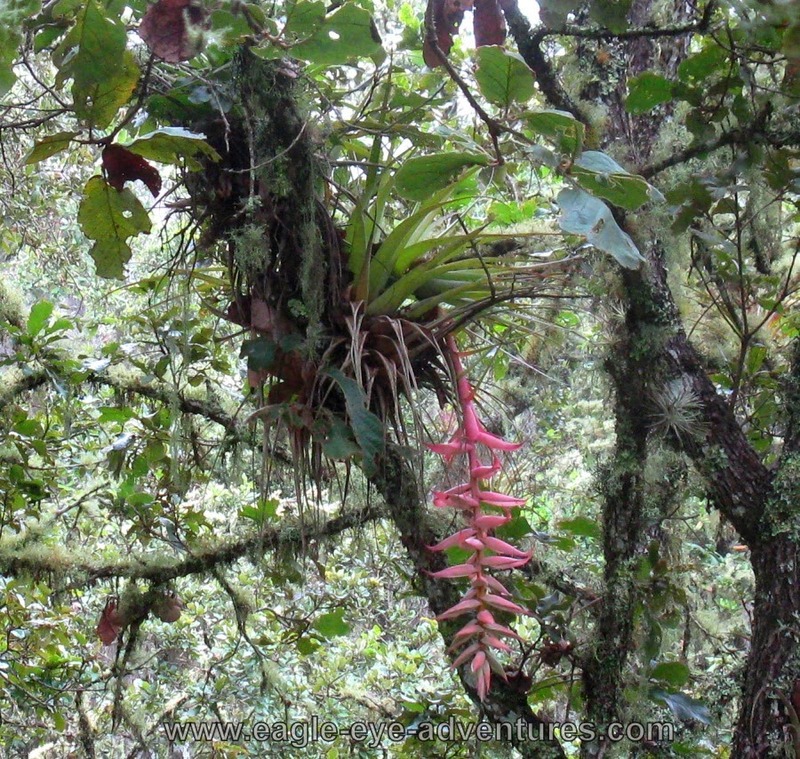 Growing at the higher elevation, there are quite often fogs that help support many epiphytes. 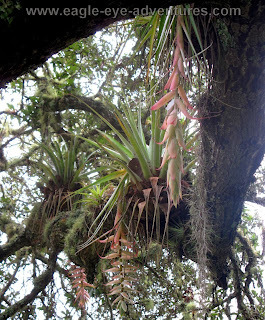 Other species of Tillandsia, mosses, lichens, orchids, and sometimes even epiphytic cacti! 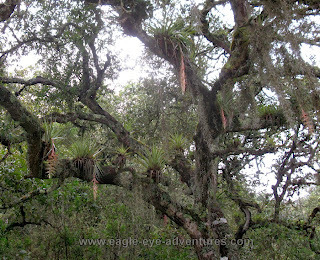 Here on the right you can see a large oak tree with many blooming Tillandsia prodigiosa, Tillandsia usneoides (Spanish Moss), and the rich collection of lichen. 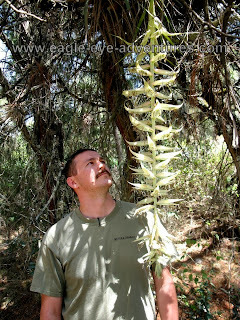 Here is a good sized inflorescence with me admiring it to give it some scale. The peak color has faded by this point, but even with the pale color it still provides quite an interesting show!